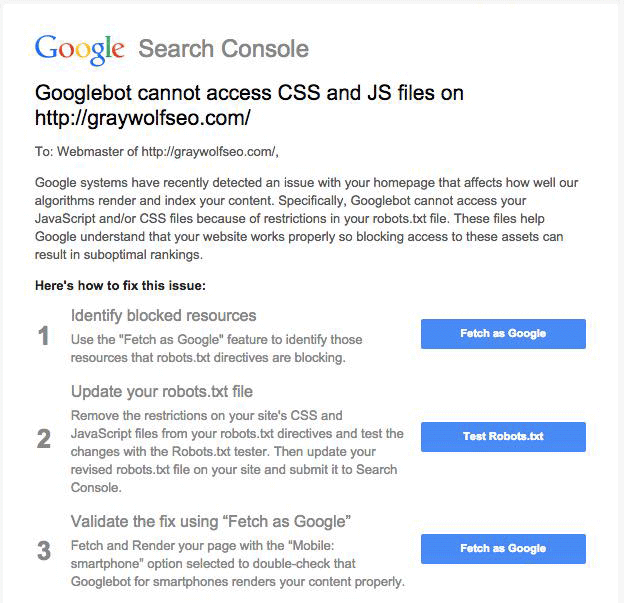 The new warning reads, “Googlebot Cannot Access CSS & JS on…” It then explains that blocking these assets can lead to “suboptimal rankings” in Google because Google cannot fully understand your Web site. The warning about suboptimal rankings is not new, but the Search Console notifications are. 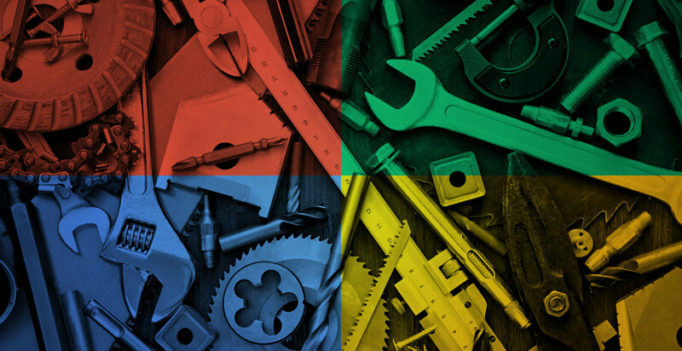 Google updated their webmaster guidelines in October 2014 and warned then that blocking CSS and JS can result in “suboptimal rankings.” Now Google is making sure to make that message loud and clear by using notifications via email and the Search Console. If you received this notification, follow the instructions in the email to diagnosis the issue and/or use the fetch and render tool within the Search Console to see what Google sees. As far as we can tell, many many webmasters received this warning this morning.